Consumers have been experiencing the switch from Google Places to Google+ Local since last May, but local business owners are still dealing with the merging of the two to manage their business profile. Business owners will continue to manage business information from Google Places for business, while customers rate, review and upload photos through the new local search experience in Google+ Local. 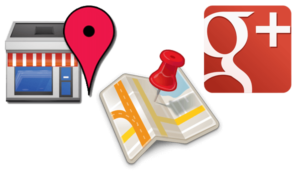 Customers will be able to discover these new Google+ Local Pages in several ways: through searches on Google.com, Google+, or Google Maps, and also in mobile apps. In essence, Google+ will become a new search function within Google, but offering richer content and social functionality equivalent to Facebook and Twitter. Also, there is an added bonus for customers that they won’t be forced to create Google+ profiles to access the content. There has also been a change made to how users categorize their business. Choosing the right categories is critical to determining your business listing’s relevance in local search. Beforehand, you could create custom categories to define your business, but with the new interface, this option has been eliminated. Instead, users may now choose up to 10 categories (previously 5) from a fixed list of 2295 options, which has been updated with more specialized categories. Follow the Google Pages quality guidelines for business listings, particularly regarding describing what your business IS vs. what it OFFERS, DOES, or SELLS (eg. Italian restaurant vs. pizzas). When editing categories in the new interface, you will be shown examples of correct vs. incorrect categories and you will be warned if you try to add custom categories. Use the Google Keyword Tool to see which categories turn up the most local searches if you are stuck between two terms. If you overwhelmed by all of these and don’t want to deal with them, contact our team of reputation builders today! Copyright © 2019 Webutable.com. Powered by WordPress. Theme: Accelerate by ThemeGrill.